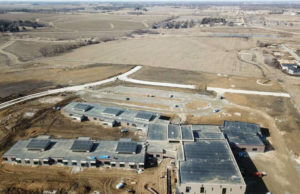 Well, Cedar Valley, the wait is over. 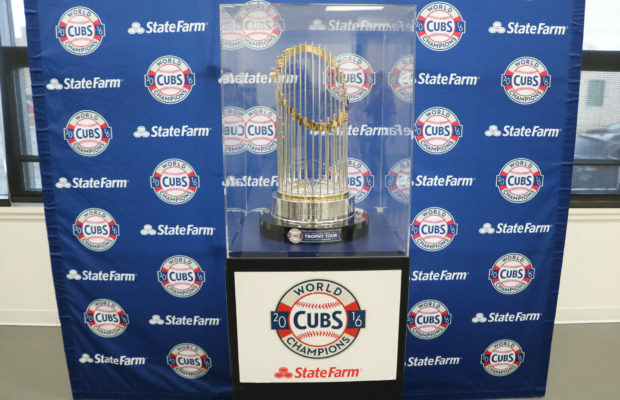 The World Series trophy made its way to Iowa for Cub fans to admire on Tuesday, Jan. 31. 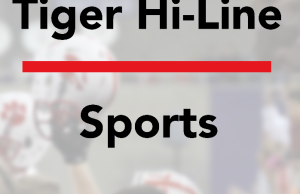 The Sportsplex in Waterloo was chosen among the many cities throughout Iowa like Davenport, Iowa City, Mason City and Des Moines based on the biggest fanbase for the trophy to visit. “It has been very remarkable, tomorrow [Feb. 1], we will be concluding our tour in Iowa for now, in Des Moines,” Cubs public relations coordinator Alyson Cohen said. Cohen graduated from Penn State University, minored in pre-law/liberal arts and studied sports and print journalism. Cohen has been with the Cubs for two and a half years. Before being a public relations coordinator, she worked for the Boston Red Sox. “The fans were just everywhere,” she said. Cohen shared that every stop has been very memorable. When staff and the trophy stopped in Davenport Jan. 30, many people, old and young, had pictures of family members or memorabilia with them. “Just seeing that, you know that this team means a lot more to people than just sports on the field,” she said. When the trophy makes a stop in a city, fans are allowed one single picture or group picture with the trophy, and on Jan. 31 about 1,100 people of the Cedar Valley showed up for one single picture. The World Series trophy has been making stops all over the globe, just getting back from Indiana, Nebraska and the Dominican Republic and traveling next week to Michigan and Arizona for spring training. Lastly, then the trophy will be placed and settled at Wrigley Field for showings. One story that Cohen shared that has been coming up all throughout the tour was a heartfelt fan from Naperville, Ill. The old man had replied, “About 6:30.” The doors weren’t supposed to open until noon that day for the trophy. Little did Lufrano know that this gentlemen meant 6:30 p.m., the previous night. He had waited overnight to ensure that he would be the first for a picture. Some other teams have had trophy tours after winning the World Series, but the Cubs organization wanted to do this, especially to this extent, just to reach out and show off the best fans in the game. One of 40 on the VIP list that began seeing the trophy at 11:45 a.m. was Shary Aldridge of Cedar Falls. Aldridge has been a Cubs fan since she was eight years old. When the Kris Bryant made the winning play in the final game of the World Series, the excitement was unreal for Aldridge, and she said she was very teary eyed and was so excited. Her all time favorite player of the Cubs is Ryne Sandberg. “He was an all around good player and just a good guy for the team,” she said. One couple, Sue Gleason and Kurt Stufflebean, waited amongst the over 1,100 blue and red buzzing fans waiting in the Sportsplex. Gleason became a fan in 1989 when she was pregnant and on bedrest during the summertime. Stufflebean has been a diehard Cubs fan for about 20-25 years. His best friend was a fan of the team and took Stufflebean to his first Cubs game. “He took me to some games, and I’ve been hooked since then,” he said. The couple said there were lots of tears, nail biting plays and emotions running high when watching their team win the World Series. “It is absolutely, absolutely worth waiting in line for,” Stufflebean said. The trophy leaves an anticipating effect on fans for April and the new baseball season to start. As much fun as everyone had getting together and celebrating at the Sportsplex — the words, the laughter and the pictures, filled the air like blue and red confetti. As late announcer, Harry Caray always said, play ball!